The weather was windy today, and the roses are just gorgeous. I have four photos for Vee's note card party. Three photos are my favorite roses and one photo of my majestic Iris. Everything is blooming at their best. This photo is what I see as I step out the back door. I have a circle with five roses and around the edges are pots of herbs. I will be posting about the herb garden soon. I have three Jade plants and the line hanging down is attached to a large chime. Thanks for joining me for a walk around My Cozy Corner. You've got a really lovely colourful garden with such beautiful blooms. I love this time of the year too, but here in Muscat(Oman)it's so hot that all the plants in my little apartment garden died...anyways am so glad to see yours. Have a great day! Beautiful flowers make beautiful Note Cards. Just Joey and the Bearded Iris are a perfect foil for each other. Lovely flowers, especially that magnificent iris! Ours are just about to make their debut. Nice set of cards! The iris is my favorite! Just wonderful. I had to check to see where you are located again because we have zip here...nada...nothing yet. I certainly do enjoy seeing flowers once again. It carries me through until I have some of my own. Pretty note cards, roses are always nice to feature. Your flowers are beautiful as well as your photography. I am patiently? waiting for my irises to bloom. The iris is our state flower so there is an abundance of their beauty in spring. Your flowers make pretty cards that anyone would enjoy. I love your cards....so full of beautiful color. I love being outside working in my yard. I really would like being out in yours. Very pretty. Oh they are beautiful! I love roses...and showed mine this week. What a fabulous flower garden! You certainly have a green thumb when it comes to roses. Your photos are lovely, too! Fabulous flowers and fabulous photos! All we've had blooming so far are daffodils around here. You have a beautiful rose garden. Such special choices for a note card party. I beg your pardon, dear friend...you DO have a lovely Rose Garden!!! Thank you for sharing your gorgeous photos of roses today!!! Betty, you have a beautiful rose garden! Thank you for sharing with us! All your flowers are beautiful, but I have to say "Just Joey" rose is my favorite, love that color! 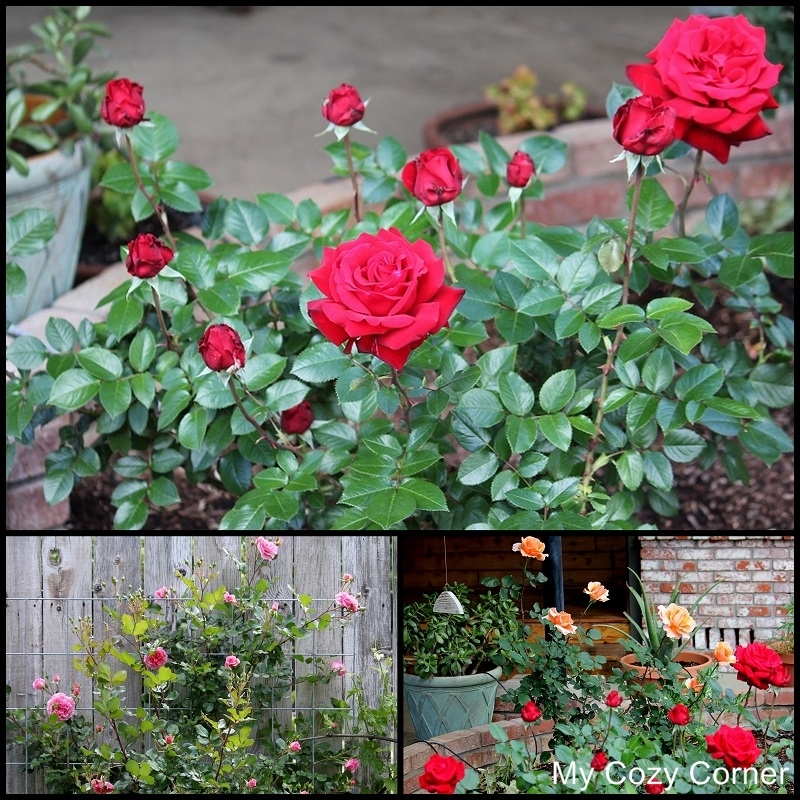 Love the gorgeous flowers growing in your rose garden. It has to be absolutely heavenly. Betty, your roses are beautiful! They make lovely notes cards. Gorgeous photos, have a happy week!